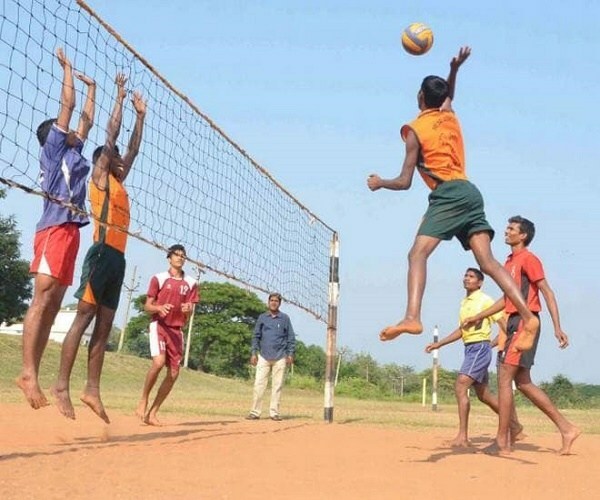 The volleyball in the State of Telangana, and the erstwhile combined Andhra Pradesh, had an enviable history. Like Indian football in 50s and 60s, where almost half of the national team comprised of players from Hyderabad, volleyball too enjoyed star status in 80 to mid-90s, supplying players to the national squad constantly. The State had produced players like T Gopal, Mulini Reddy, Shaym Sundra Rao, Ramana Rao, GE Sridharan, Riyaz Ahmed, Abdul Basith, Venkatanarayana, PV Ramana and L Ravikanth Reddy – to name a few – who represented India at international events. Alas! The game in the State, particularly in Hyderabad, has taken a nosedive. The State teams are faring so poorly in the nationals that they are failing to cross the first hurdle. This is the same State that won several national championships in 80s and 90s along with three National Games titles. Blame it on the association in-fighting, politics, lack of opportunities or support from the government, the game is at its nadir. Once called the nursery of Indian volleyball, the Victory Play Ground, where all the top internationals from the city used to practice, now sports a deserted look. A few former players are even calling it as the worst phase for the game in the State. Dronacharya and Arjuna awardee Shaym Sundra Rao, who played for the country from 1966-77 and then served as the Indian national coach from 1979 to 2002 and from 2007 to 2011, rues that the lack of support to the players is the main reason for the decline of the standards. “I remember Hyderabad being the hub of Indian volleyball. When L Venkatram Reddy was heading the sports wing of the Hyderabad Municipal Corporation, the city was abuzz with activities. There were so many tournaments then. He made sure that there were many play grounds in the city with good facilities. His death was a great loss,” he reminisced. “Regional hostels were there in districts and provided cream of players who were stationed at LB Stadium. We have put forward a few proposals to reopen the hostels but there is no use,” he lamented. The mess in the administration at the State level, according to former international player Manoj Reddy, was the main reason for the dire states of affairs in Telangana. “When I was the secretary, we revived the game conducting tournaments in districts. The grassroots were strong once again. We were ready to conduct Telangana Premier Volleyball League and senior nationals in the city. But people started interfering. The current body is more focused on running the affairs for their personal gains rather than the development of the game. There are no tournaments being conducted in the districts or there is any activity in the city. It is sad of affairs, ” he said. Previous articleWhy Telangana Leader ‘Harish Rao’ Completely Sidelined In TRS Govt? Next articleToday ‘Sugar-Free Mangoes’ Are Become A Reality, Diabetes Patients Can Eat Fruits!